Enrolling in certified nursing assistant classes in Michigan provide an excellent way to get hired in the health care field and start a great career. Taking classes as a nursing assistant will give you a chance to become employed in as little as 6 months and that with a very low tuition cost. Nursing assistant work is one of the most in-demand jobs nowadays due to the current shortage of employees as well as training facilities who provide such education. Aside from that, there is also the growing population of the elderly as well as those who need long-term care due to chronic diseases. How Much Does a Nursing Assistant Make in Michigan? It is now a good time to take nursing assistant courses in the state of Michigan if you want to find a kind of job which is currently in demand. According to statistics, nursing assistant positions are expected to continue to grow until the next four years. Hence, if you take a nursing assistant training program today, you can expect to catch this trend by the time that you graduate. The average annual salary for a nursing assistant in Michigan is about $25,190 and the average hourly wage is about $12. What Does it Take to Complete Nurse Aide Training in Michigan? Schools that provide instruction can be found at colleges, vocational institutions, high schools, and some local Red Cross centers. After enrollment in to a program you will learn 51 different tasks and receive at least 75 hours of instruction. Classes can take as long as 4-8 weeks which is shorter than the usual nursing courses. Due to state requirements nursing assistant training programs are required to have at least 75 hours of classroom training sessions in a licensed nursing facility, and Along with the theoretical instruction, nurse aide classes are required to provide 16 hours of clinical practice. The programs are coordinated by an experienced registered nurse and will allow you to get hands-on skills training so you are ready for the certification exam and the job itself. Can I Join Any CNA School in Michigan? Always verify that a program has been approved by the state before enrolling. Program facilities such as high schools, community colleges, technical and vocational schools should be approved by the Department of Licensing and Regulatory Affairs, Bureau of Health Professionals in order to make their students eligible for the state competency examinations. Classes should be able to teach basic nursing skills such as grooming, feeding, emergency procedures, and communication skills. They also need to learn medical terminologies and how to take a patient’s vital signs. Since they work with other medical professionals, they also need to learn how to speak with such personnel. How Much Does Nursing Assistant Training Cost? 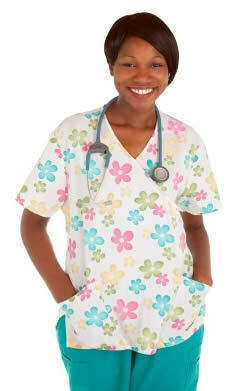 There are several institutions which offer nursing assistant programs throughout the state of Michigan. You should look for a facility which is certified and approved by the Department of Licensing and Regulatory Affairs in Michigan. Training programs can be found in Advance Medical Training Inc., Everest Institute, Walker Medical Instructional Services, Goodwill Industries of Greater Grand Rapids Inc., Valley Training Center, American Medical Careers, Ross Medical Educational Center, and Gogebic Medical Care Facility to name a few. The tuition fees can range from $400-$1,500 and which may or may not include fees for textbooks, uniform, study materials and examination fees. The school may require you to have a high school diploma or a GED, wear appropriate attire or uniform, have a watch, and pass health and immunization tests before they allow you to enroll. What Are the Certification Requirements After Finishing the Class? After finishing the CNA course program, the student is now eligible for the state competency exam. The applicant needs to download or request a Michigan Competency Evaluation Registration Form and other documents such as certificate of completing the course. The written and skills exam is conducted by Prometric which can be accessed online for the written portion. The applicant will have three chances of passing the test. You can read more about the nursing assistant certification requirements in Michigan by clicking this link.